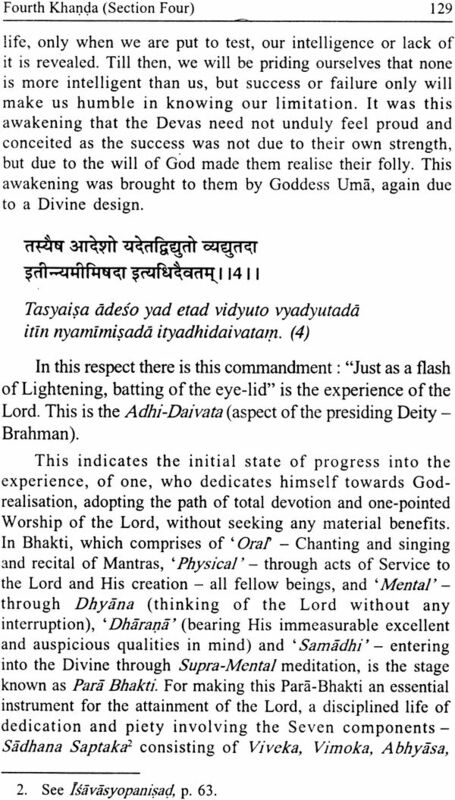 'Dharma' is the law of existence codified by the vast ancient scriptures; the spiritual revelations of the Master Minds; the great Vedic seers, the pious savants, who followed them, and the ancient Acharyas, have explained these scriptures so as to enable comprehension by common minds. Sanatana Dharma is the ancient Vedic discipline which remains ever fresh and immutable. Civilized world is aware that the great Indian philosophical tradition is contained in the scriptures known as Upanishads. Upanishads, occurring in the Vedas, record the definitive conclusions of the Vedic seers. These are perceived as the “Veda Sira"–the very content-essence of Vedas. The variety of idiom and phraseology, the didactic exuberance, the amplitude of vision, is mind-boggling, considering their anciency, when the civilization of mankind elsewhere presented a picture of utter barbarity and ignorance. The present work underlines the comprehensive and integrated approach, based on several schools of thought, the foremost being the writing of Bhagwan Shri Ramanujachary, his monumental work 'Shri Bhashyam' in particular. This work catches the spirit of Vedic philosophy. The English exposition is marked by clarity of expression and authoritatively crafted with copious annotations of several ancient works. It would be of immense help for understanding the great message of Vedas by the dedicated reader and is a valuable contribution to the English literature. Acharya Narasima (B.S. Narasimhacharyula), the author of this work, belong to an illustrious family of scholars in the ancient systems of Hindu philosophy. He had been studying various schools of thought over a long period. Though the writings of several scholars, of repute, were unique in their own way, he felt that they do not present an integrated approach, compatible with the sum-total of Vedic scriptures, and presented different conclusions, on preconceived theories. (1)Thousand Names of Lord Vishnu- A detailed exposition of the names of the supreme as contained in the famous eulogy, “Vishnu-sahasra-nama-stotram"adapted from the ancient work of Shri Parashara Bhatta (Published by the Minerva Press, India). (2)The Mystique of the Love of Divine- Containing detailed exposition of three significant works of saints of south India. These are the popular psalms, Tiruppavai (The sacred Vow), Tiruppallyiezhucci (Waking up the Lord) and Tiruppallandu (Blessing the Lord) (Pemman Publishers, Delhi). (3)Fundamentals of Integral Vedic Philosophy- A comprehensive study, incorporating the principles of unified thought of the Vedic literature (Penman Publishers, Delhi). Upanisads are collectively known as Vedanta. 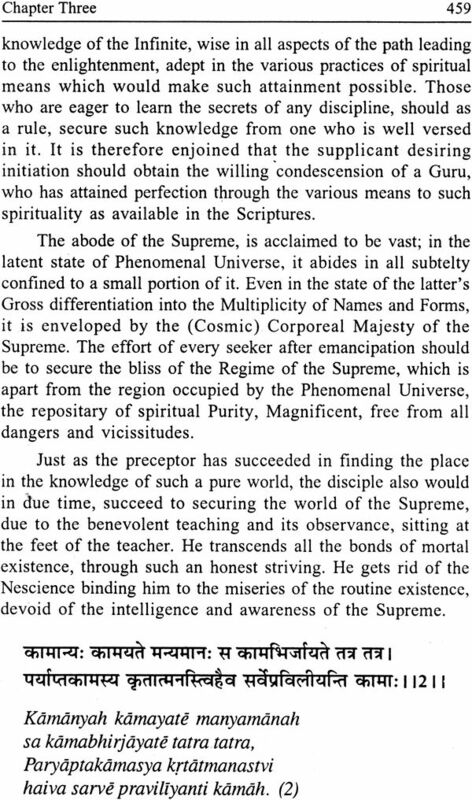 These are the scriptures through the study of which the knowledge of Brahman (the supreme reality) is gained as clearly as possible. Occurring at the end of the Vedas, they are the apex of the Vedic wisdom- the Vedanta, the ultimate meaning of the Vedas. Vedas consist of parts known as Samhita, Brahmana and Aranyaka. 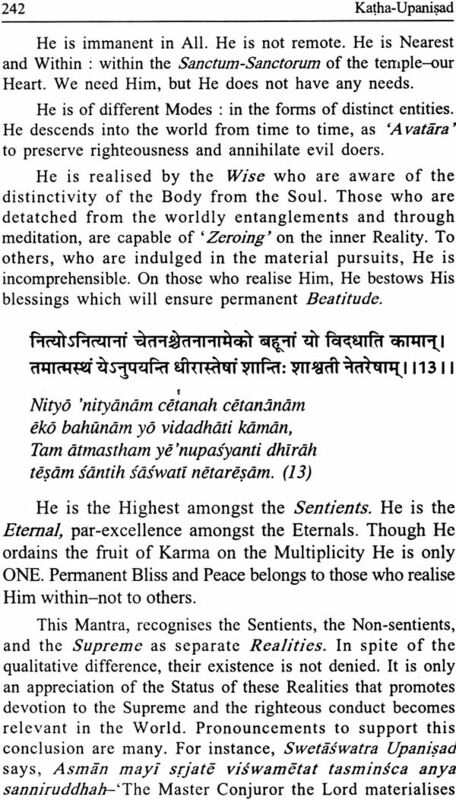 The first mentioned, Samhita consists of Mantras in verse or prose. 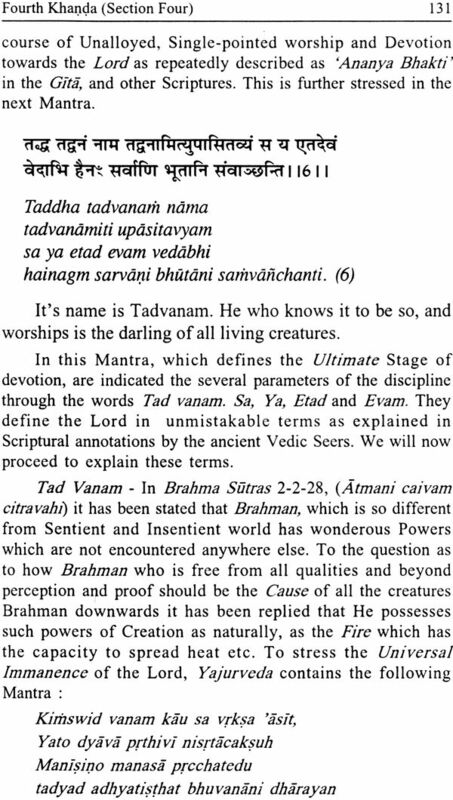 The meaning of these Mantras is contained in the Brahmana texts, which are of the nature of commentary to the Samhita. Aranyakas consist of the selected parts of Samhita and Brahmana studied with due dedication, for attaining to the spiritual enlightenment, by those Sages who dwelt in the solitude of forests: Aranya meaning forest. Though these Upanisads are contained in all these three divisions of the Vedas, they are all the same, normally known as Vedanta. Thus, the Isavasya Upanisad which contains 18 Mantras, occurs in the concludings part of the Sukla Yajurveda Samhita is known as Vedanta. It appears that Vedas and Upanisads were separate compilations at time, but, later at the time of dividing the entire scriptures into various Sakhas, (Branches of study) appear to have been integrated for facilitating study. The Suffix 'Anta' means 'the Ending'. 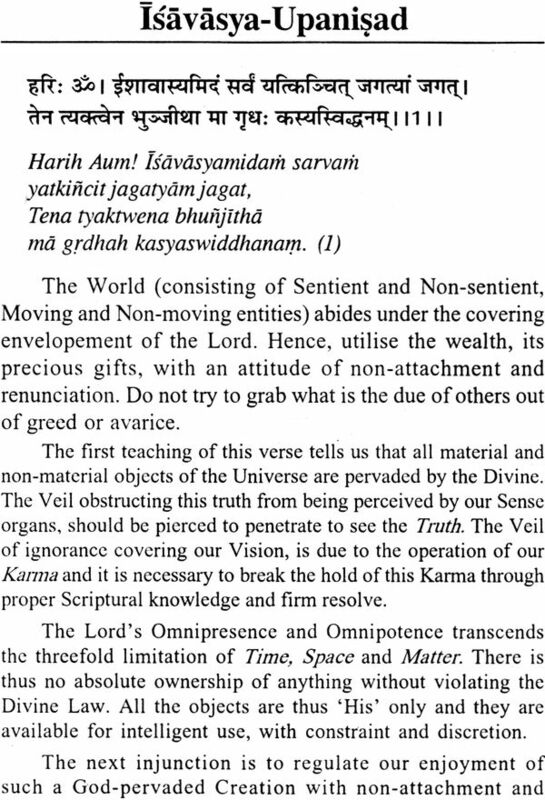 In the context of Vedas, this 'end' stands for the 'Ultimate Definitive Teaching'. 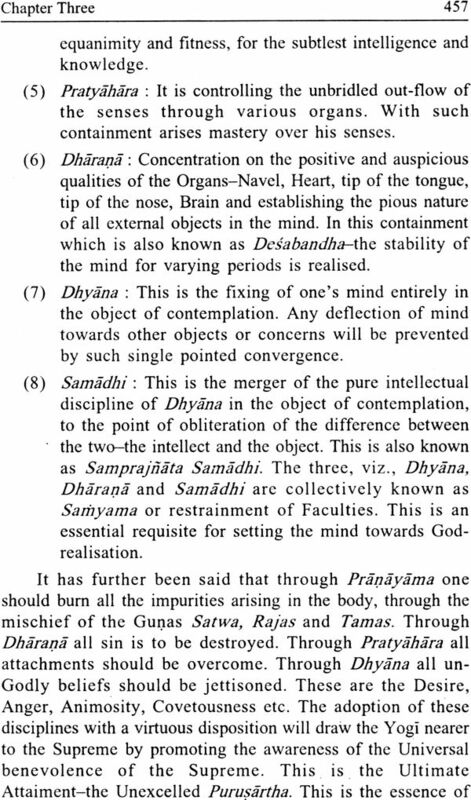 By understanding the three words, Drstanta, Siddanta, and Vedanta we arrive at the basic methods of understanding. Drstanta thus stands for conclusions arrived at as a result of close observation. Siddhanta stands fro that which is understood through Logic, close reasoning- Siddha- the conclusions arrived at the end of exhaustive ratiocination. 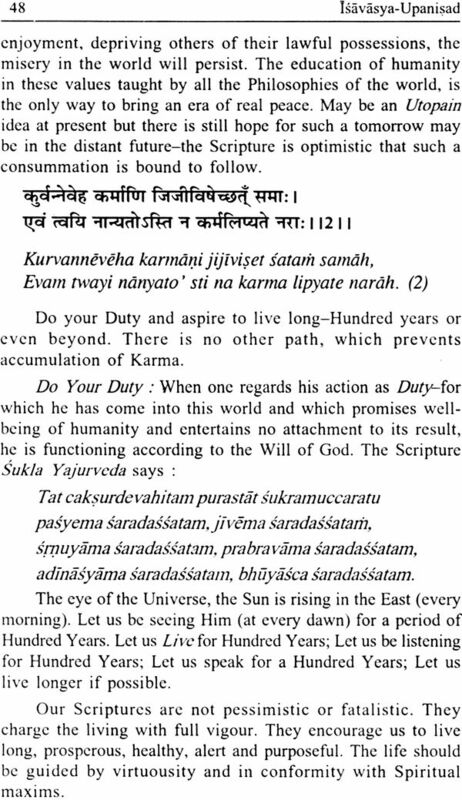 Vedanta consists of conclusions of traditional wisdom proclaimed through the Vedas. These three terms, thus represent the main methods of understanding the Scriptures, viz. 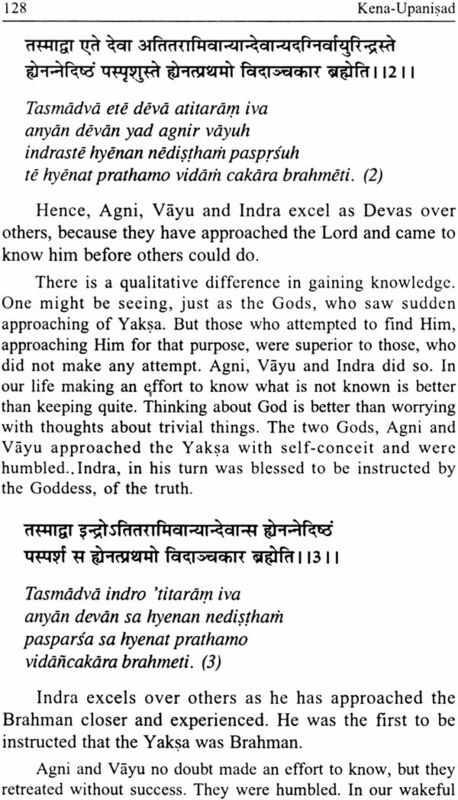 Pratyaksa- Direct perception. Anumana Inference and Sabda-scriptural teaching. It is know that there are 275 Upanisads. Out of them, the ancient Acaryas (Those who have systematized the study of Vedas) have short-listed Twelve, as important, a study of which will reveal the truths relating to the Brahma Vidya the Knowledge of the Divine. To the Un-initiated, who go through the superficial meanings of these texts, it would appear that they differ in their teaching. This has led to different views propagated by the various schools of thought each affirming 'that' theirs is the ultimate truth. Finding this position as chaotic, violating the comprehensive integrated an unitary character of the teaching of the Vedas and to enable a proper understanding, Vedic scholars of great antiquity, Audulomi, Kasakrtsna, Asmarathya, Jaimini and others, wrote commentaries explaining the apparent contradictions, and the real sense of the Upanisads. Combining the views of these great scholars, Vedavyasa, the great compiler of the Vedas and the Upanisads, epitomized them in cryptic aphorisms, known as Brahma sutras. Veda is the expression of the supreme will revealed through Master-Minds who were known as Tapasvis-those engrossed in Tapas. 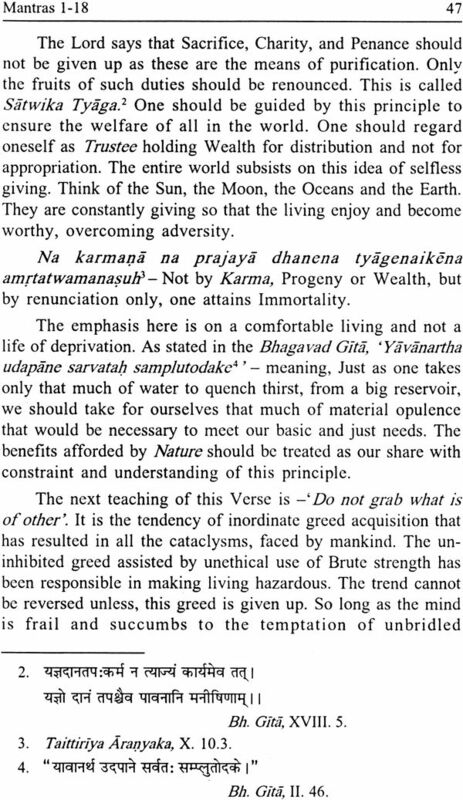 The meaning of this term Tapas (normally translated as Austerity or penance) has the following meaning according to Kurma Purana, quoted in Parasara Madhaviyam, an ancient work of great merit. Etat Tapo Viduh Na Sarirasya Sosanam. 'Non-violence, Truth, Guilelessness, Continence, Kindness to all creatures are known as Tapas by the wise. It is not merely starving the Body (through fasting and privation). 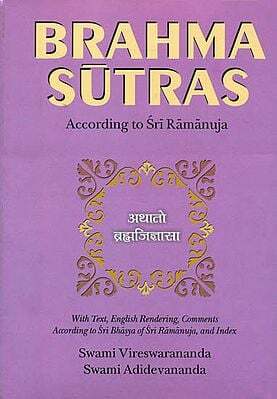 The Brahma Sutras is thus the ultimate repositary of comprehensive integrated knowledge contained in the Vedas and Upanisads. No part of Vedas or other Vedic scriptures, known as Srutis and Smrtis teach any conflicting systems, but, proclaim the same truths in differing methods and hence none has the justification to adopt a few parts to the exclusion of others through clever tendentious logic or text torturing. The integration of these different texts has unfortunately not received the due attention in their popular projection by certain schools of thought. (We refrain from mentioning the names of these Schools). 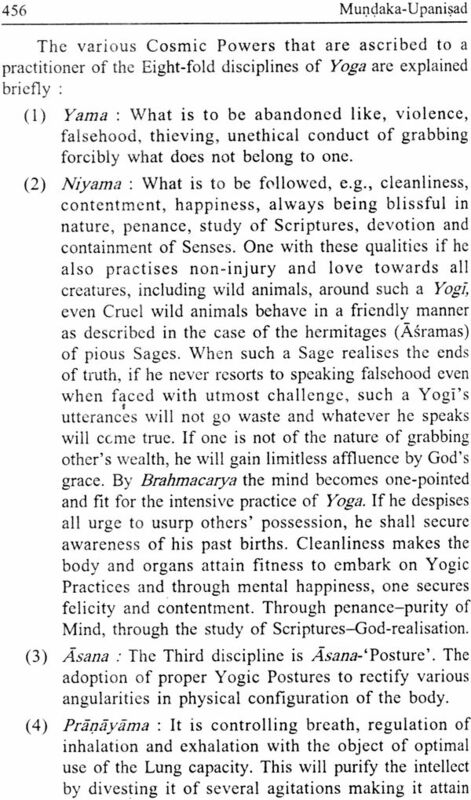 Bhagavad Ramanujacarya, a savant of the 12th century, has achieved this integration, in his masterly exposition of the Brahma Sutras, Sri Bhasya, with the background of the Bodhayana Vrtti, which detailed the contemporaneous sense of the Sutras and represents a comprehensive integrated philosophy, in accordance with the Vedic Wisdom. 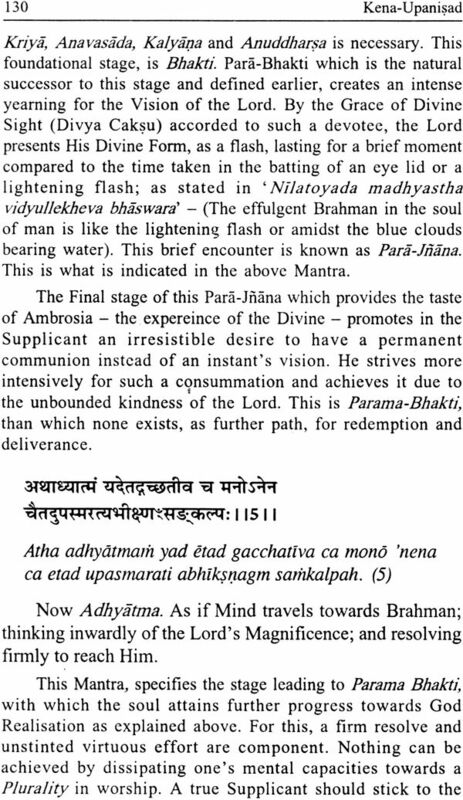 'The Upanisads declare that the Brahman is Avikari of changeless Nityam or eternal. The world is changing and impermanent. How can such an effect come from such a Cause'? This is a strange observation questioning the wisdom of Upanisads, on a specious and common place observation, denoting an absence of perception of the ethos of the Upanisads. It is common knowledge of any student of Philosophy to accept a changeless soul despite the ever changing covering, the Body. Though the body consisting of physical elements is always in a state of flux, the Atma, (the soul) stays unaffected. Similarly, the change in the various 'effects' of Brahman, do not affect the immutability, changelessness of the ever pure soul as well as immanent super-soul. 'The Upanisads are but a series of glances at truth from various points of view and not an attempt to think out the great questions consecutively, yet those who look upon them as revealed truths are under an obligation to show that their teachings form a consistent whole'. 'The sutra of Badarayana reflects indecision and vagueness characteristic of the Upanishads, whose teaching it attempts to set froth and labours within it many seeds of doubts and doubts and discussion. Any attempt at a more precise characterization of the views of the Sutras is bound to contain many rocks of offence and sources of spiritual disturbance'. This observation made by a protégé of Indian Philosophy ringing as Authentic in its purport naturally puts a huge question mark on the entire cosmogony of Vedic philosophy, which is pure and pristine without any contradictions from a pragmatic view. 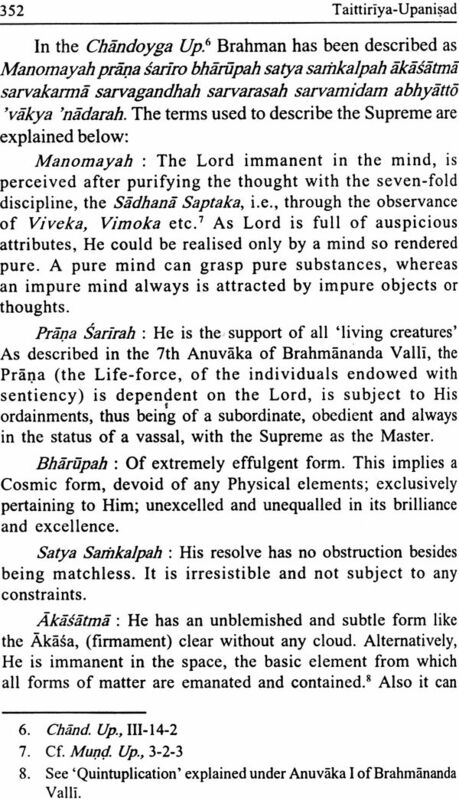 The entire mass of Vedic literature should be understood to propound an integral system of philosophy and the above views would raise doubts whether the learned scholar has been unduly swayed by a system, which is based on partial acceptance of some parts and theories and his inability to reconcile contradictions raised by such a commitment. Such views of scholars of repute have actually resulted in an organic weakness in the understanding of the message of the divine religious and philosophy scriptures. This however results in the minds of the students confusion and confoundment. Given the above views there is no surprise that some philosophers feel that the Upanisads do not teach any single religion and any one is free to draw his own conclusions and develop weird theories. They have never despaired to create huge tomes of Sanskrit works, which are mistaken by the gullible as representing authentic Vedic wisdom. It should be the duty of informed votaries of the Vedic religion to disabuse the minds of the seeders of the differing system so developed. 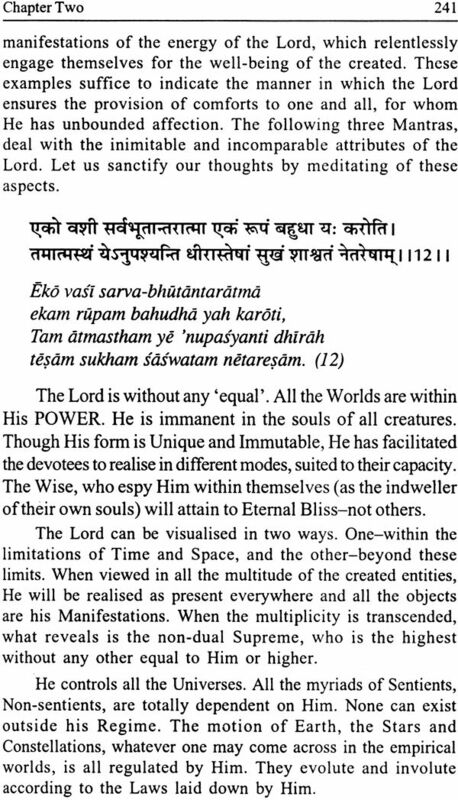 An approach towards proper interpretation demands the acceptance of the reality of the world of infinite multiplicity and to arrange the spiritual life regulating it along the path advocated in the opening Mantra of Isavasya Upanisad, enjoining the marshalling of the bounties of Nature for fulfillment of a purposeful life, without giving vent to greed and attachment. 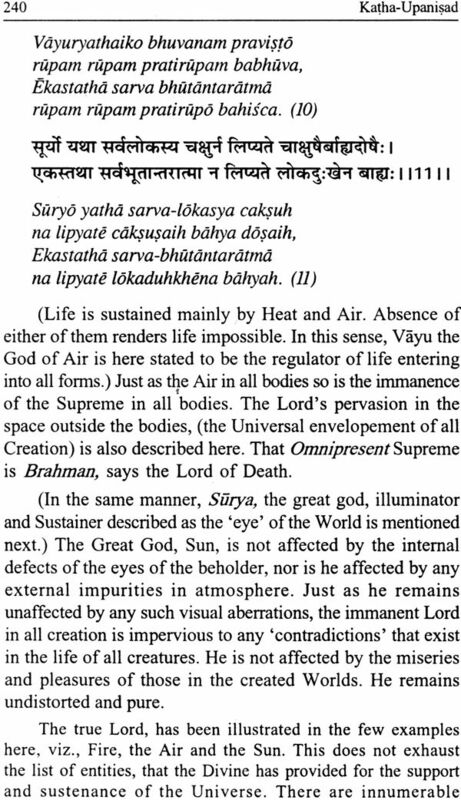 Upanisad does not emphasize that the world is illusory or something inexplicable- Anirvacaniya. The reality of the supreme lord who has created the world of matter and spirit and holding them in all states of their existence is a fact which is not controverted by any scriptural the world and the enablement of the Individual soul to have freedom of action, while the supreme holding all souls in his all encompassing regime implies an obligation on the part of the soul (Jiva) to tread the path laid down in the variousethical scriptures to ensure the achievement of the desired goal, Purusartha. Any confusing doctrine preaching the unreality of the world and the Self-conceit propounding the soul being the same as the God, is not conducive to a relationship of devotion, submission to the will of God, the essence of all religion here as elsewhere. We have been subjected to this type of intellectual confusion, far too long, making us inveterate skeptics not having a vigorous and vibrant standard of religious existence. 5. Difference amongst In-sentients inter-se. These are obvious to any one and need no explanation. The srutis and Smrtis consist of ten groups of Mantras and clarificatory sections having the sole purpose of achieving the establishing of integrating the entire Vedic system as a complementary whole and is to be taken as preaching a unified doctrine. These divisions are explained briefly in the Kathopanisad, 2-9 forming part of this work. Readers looking for an exposition of the Upanishads from Ramanuja's perspective may wish to look elsewhere. The translations are crisp and easy to understand, as is the commentary. 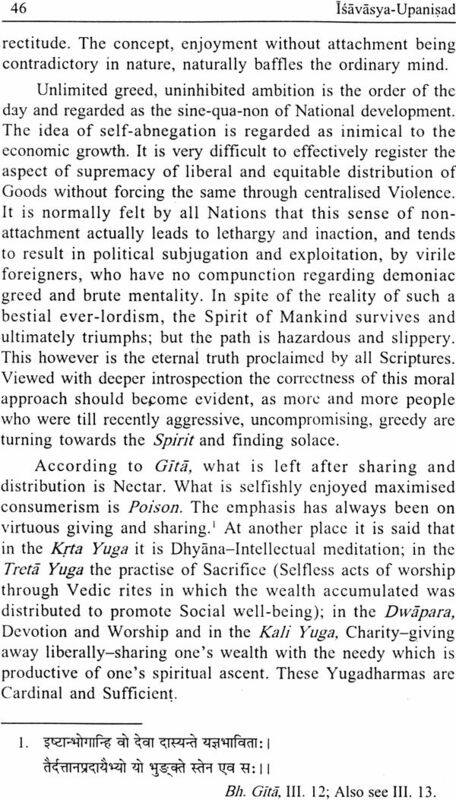 However, the author frequently quotes from Ramakrishna and in some instances, appears to take positions that are not entirely in the spirit of Sri Vaishnavism, as one would assume from his invoking Ramanuja as having the most integrative approach to the Vedanta. At best, I would take this as a companion text to help reinforce my understanding of more traditional efforts, like the translation of Katha Upanishad by Dr. N.S. Anantarangachariar Swamy, and even then, I would be more inclined to believe the views found in the latter wherever a contradiction emerged.